Why didn’t the crazy old lady take an Uber? Catching Christmas is a sweet, poignant cab ride through the last few days before Christmas, as Callie commandeers Finn’s cab, time, and heart. Finn’s got some major regrets going over his actions around the death of his mom and he’s not about to be found wanting again. He’ll make this cab ride work if it’s the last thing he does. Callie Beecher needs a ride to the doctor’s office, the mall, the bank, and a few dozen other places, as she shops through the last few days, seeking Christmas presents and a date for her granddaughter. Finn’s a bit short on cash, Callie’s a bit short on remembering to pay, and Sydney’s more than a bit short on nice bosses and grateful clients. Together, they’re going to make this a Christmas to remember. 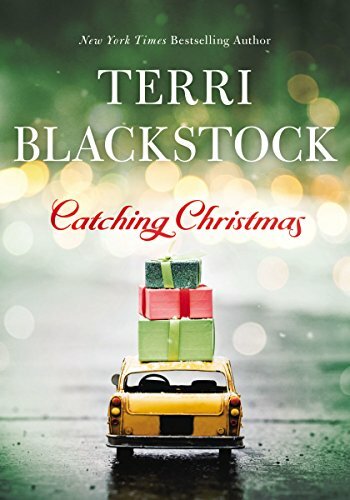 Catching Christmas reads almost like a comedy of errors as Callie, willfully or not, keeps Finn at her beck and call despite his protestations and best intentions. Is Callie crazy? Has she any inkling of the havoc she’s wreaking in Finn’s life? Does she know he’d really like to be able to pay his rent? Does she care? Weaving the life of a cab driver with commentary on eccentric passengers, Uber, the harsh life of newly minted lawyers, and the pain of losing loved ones, this is a story that will have you running for the Kleenex box as you ricochet from one laugh into the next heartfelt moment. Love, family, and the kindness of strangers snowball as three lonely people slide toward a Christmas none of them will ever forget. Highly recommended for those who love sweet Christmas tales, happily ever afters, and clean romance. I received this book as an Advanced Reader Copy (ARC) from the publisher through NetGalley. My opinions are my own.